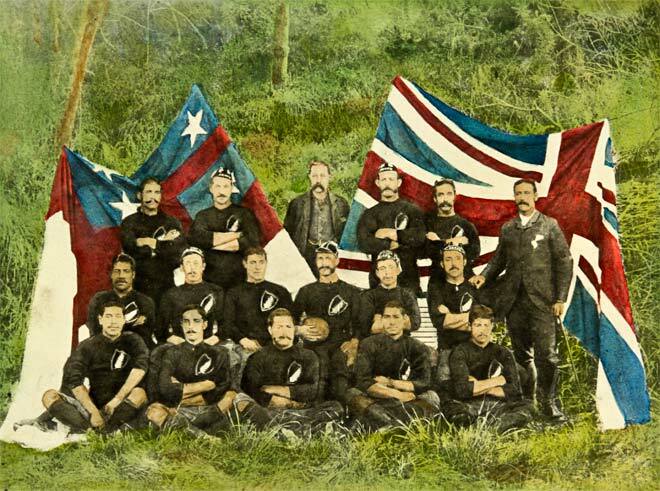 In 1888–89 the New Zealand ‘Native’ rugby team toured Britain, Australia and New Zealand. Most of its players were Māori, with several Pākehā included. The flags behind them in this photo are the Union Jack (on the right) and a flag based on the United Tribes’ flag of 1834.